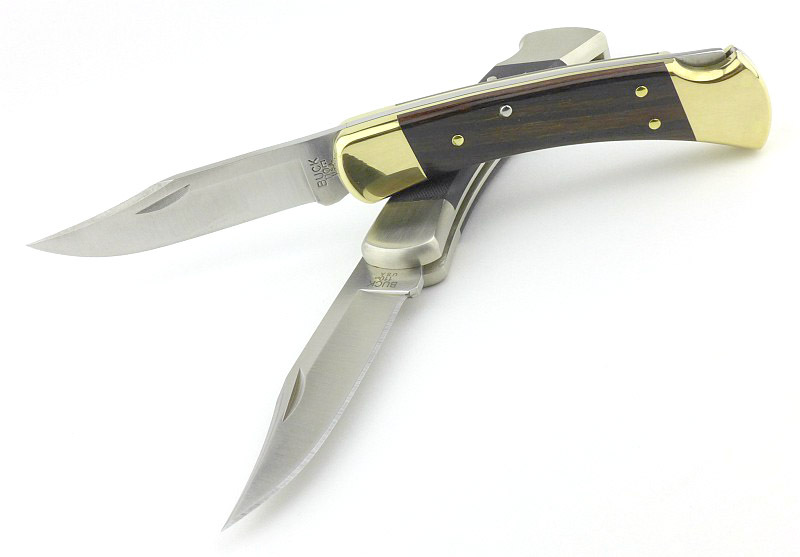 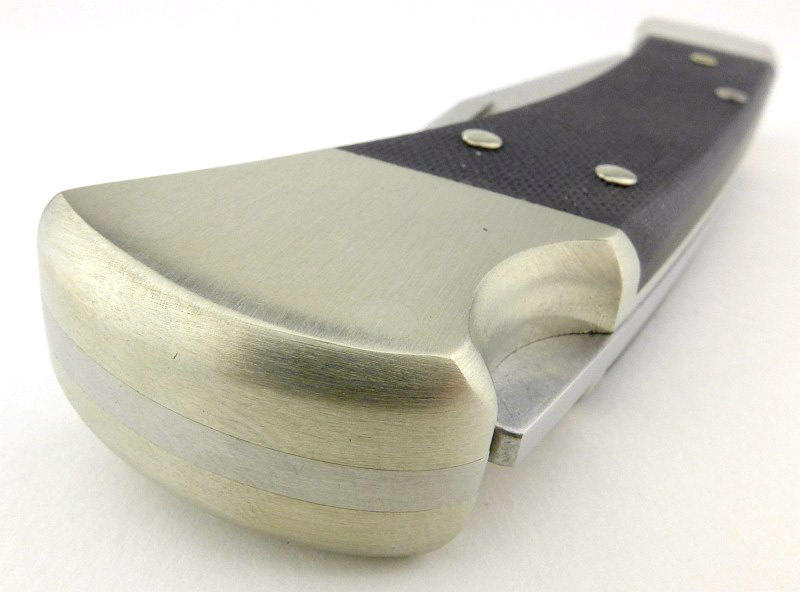 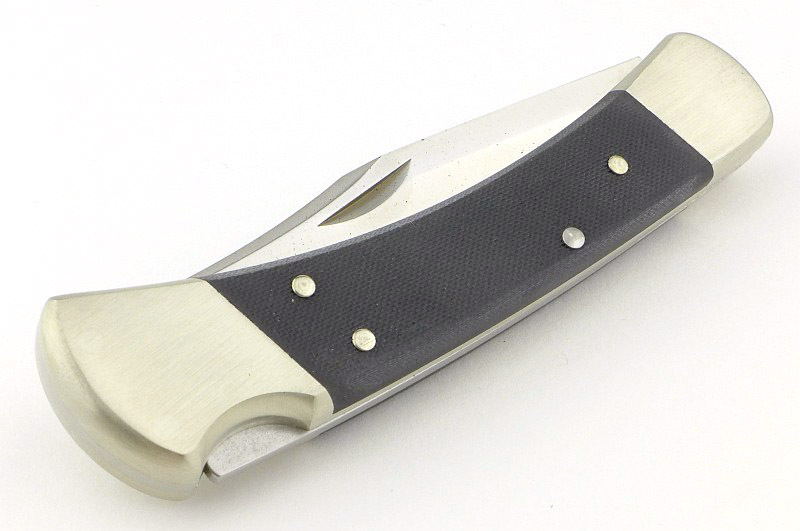 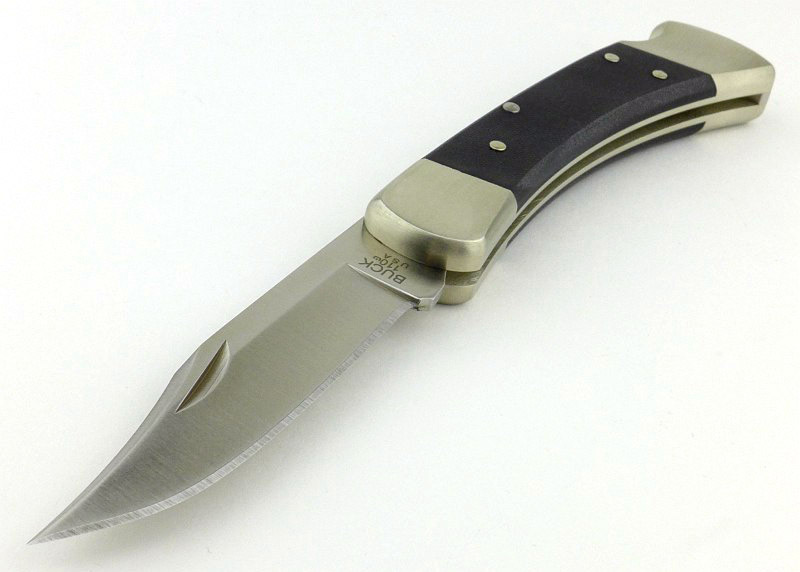 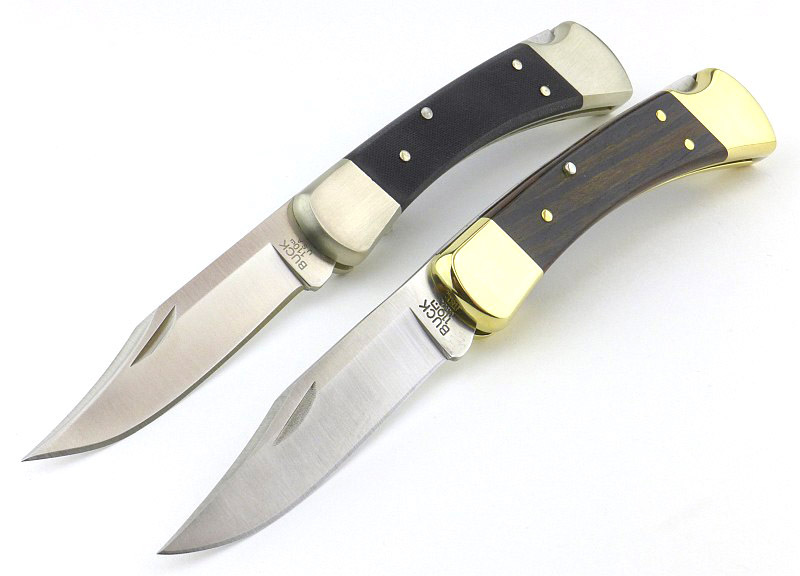 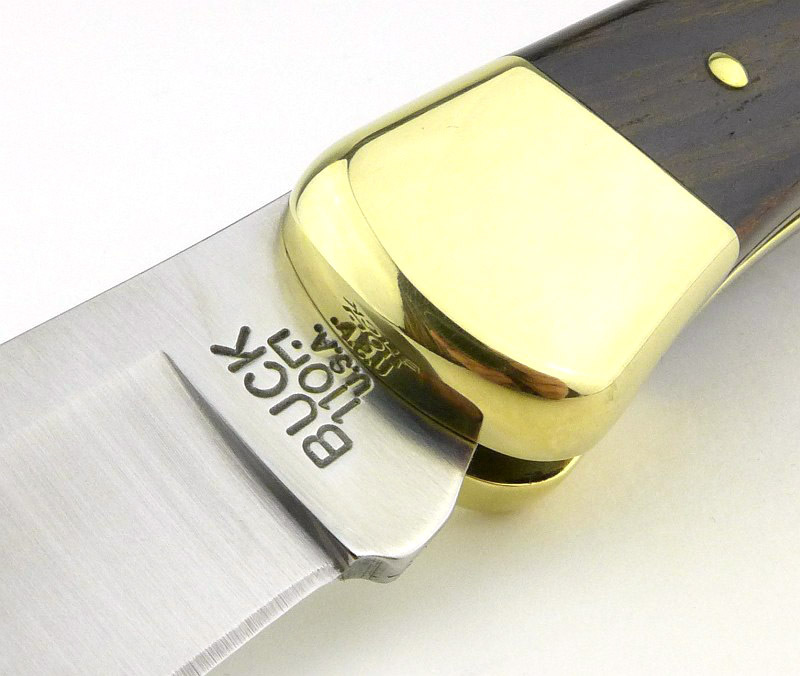 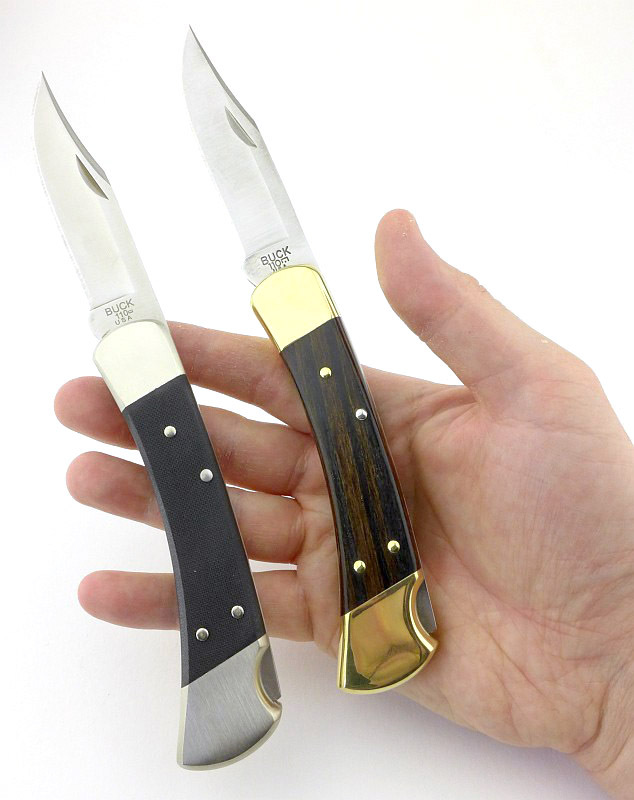 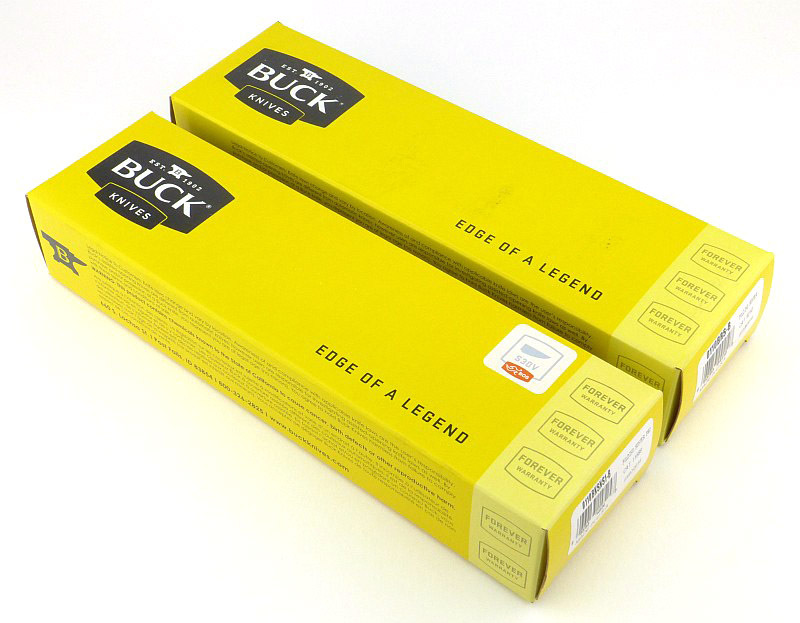 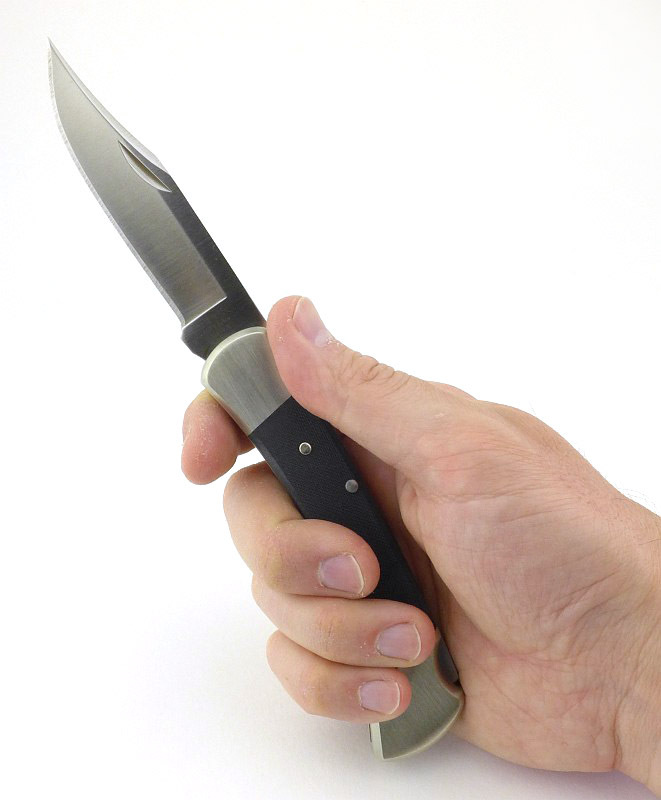 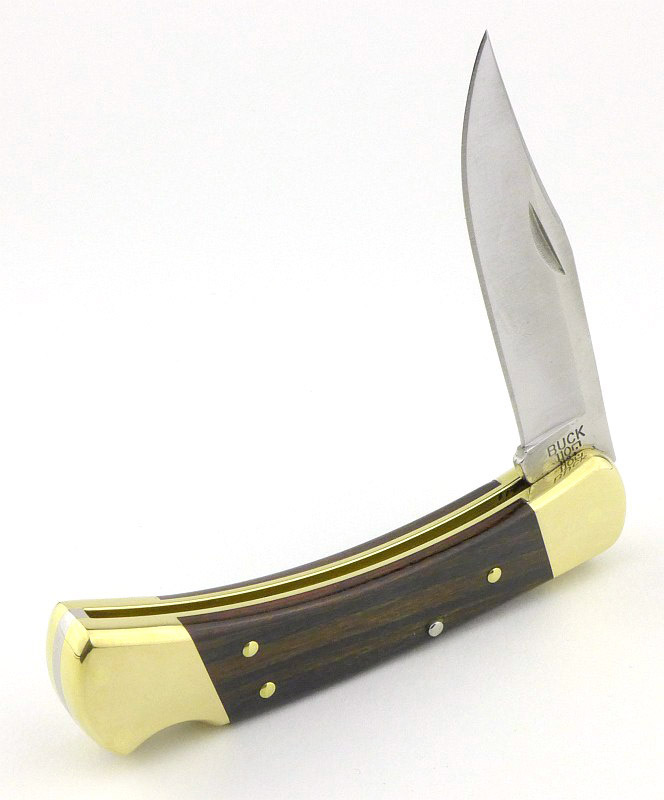 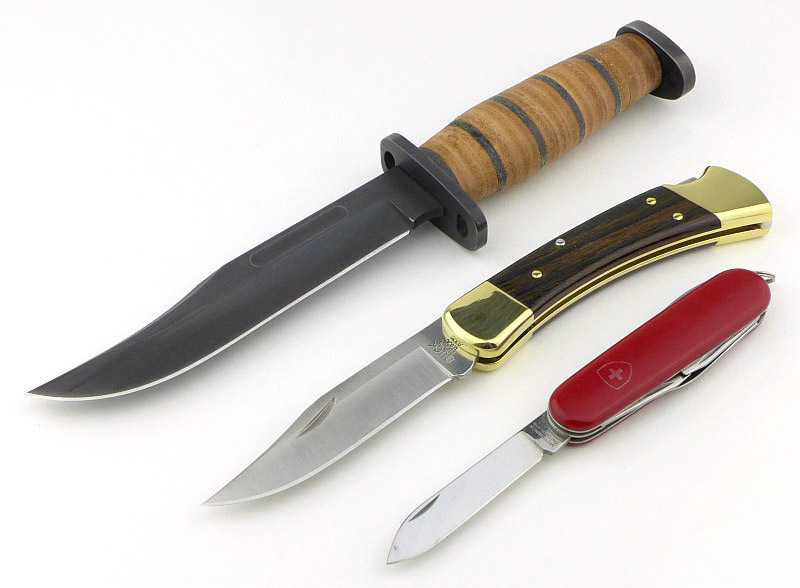 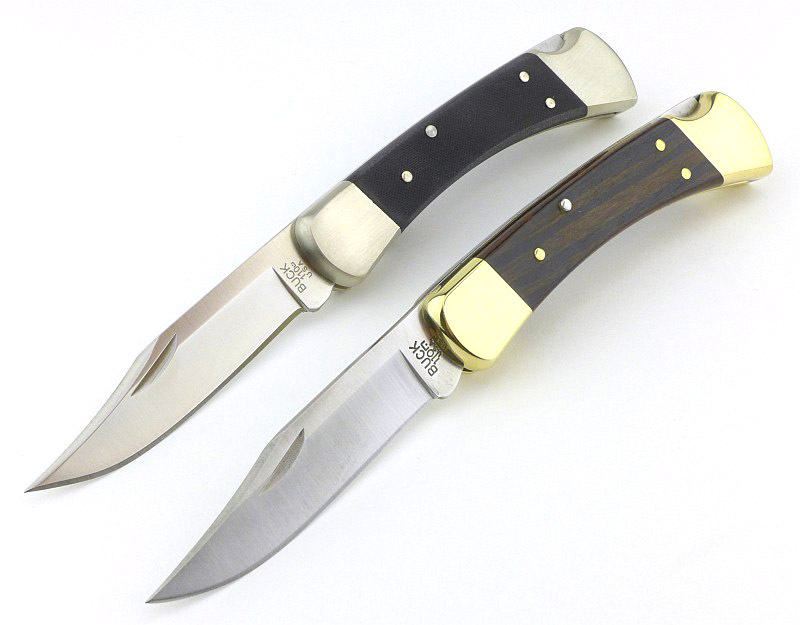 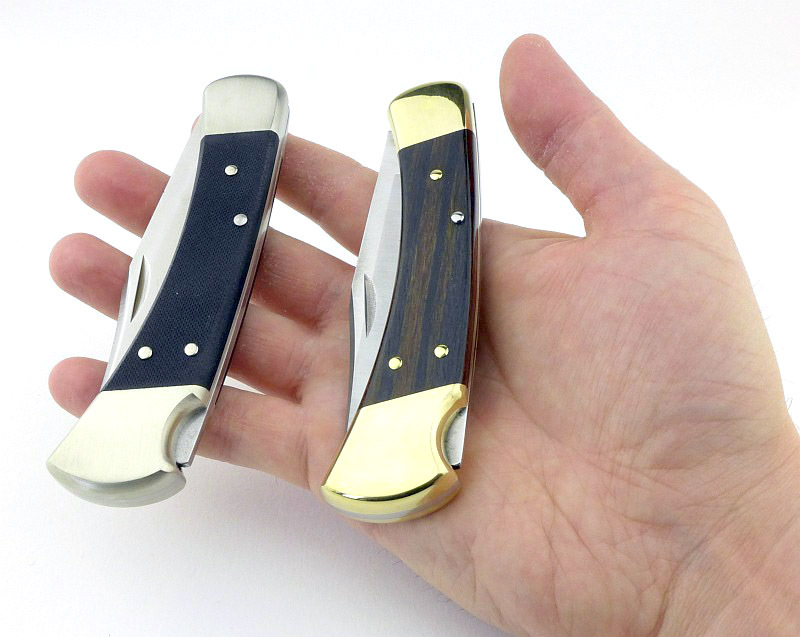 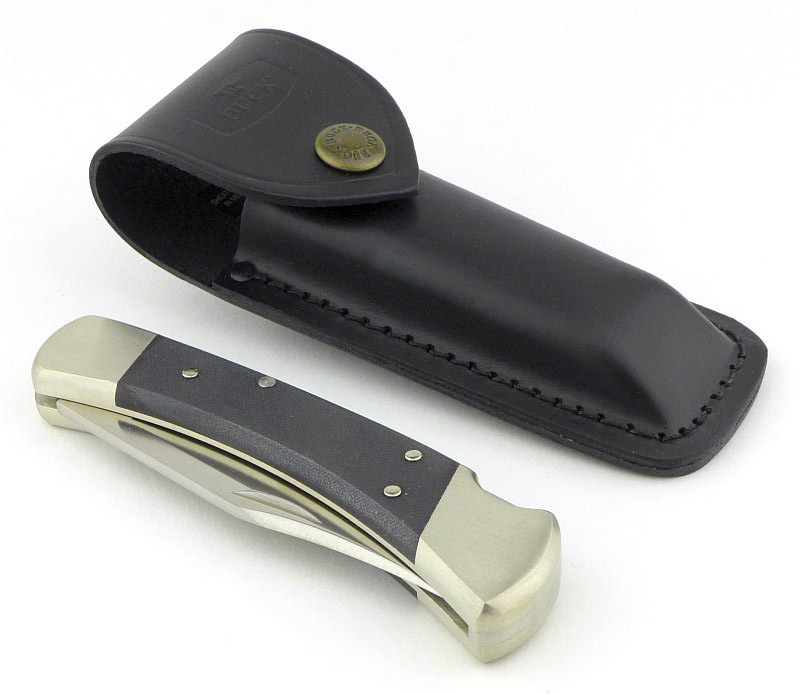 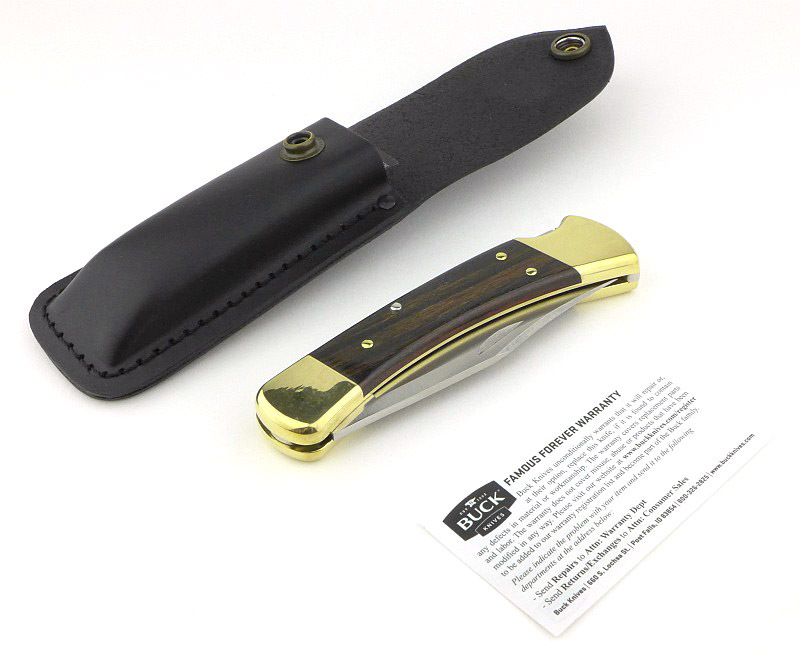 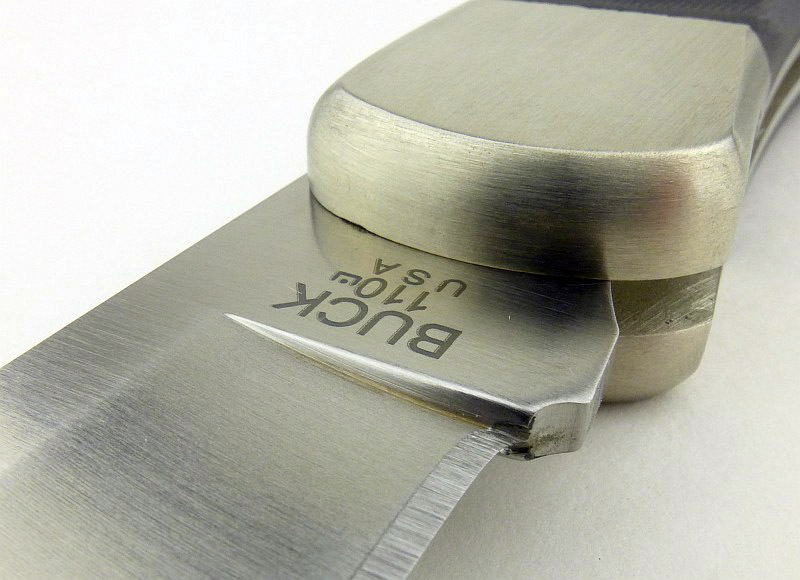 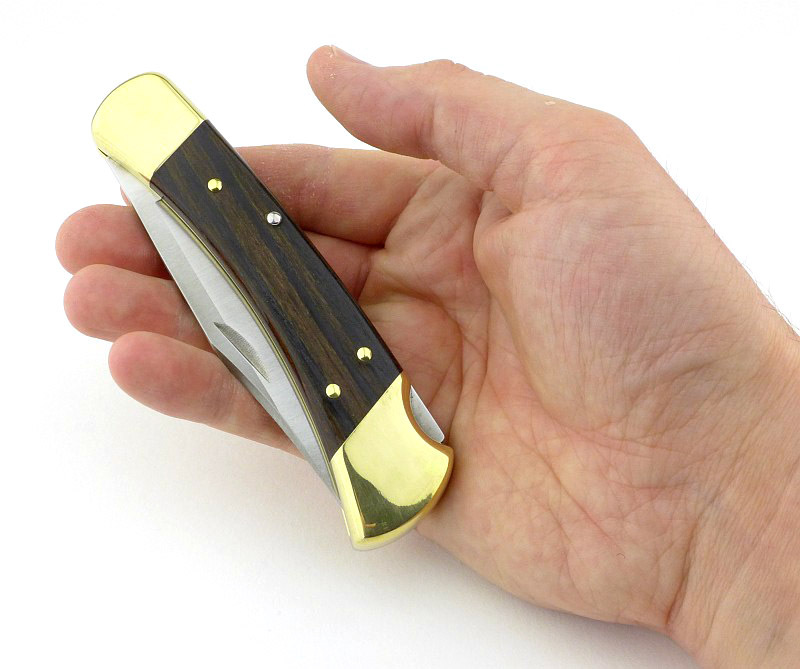 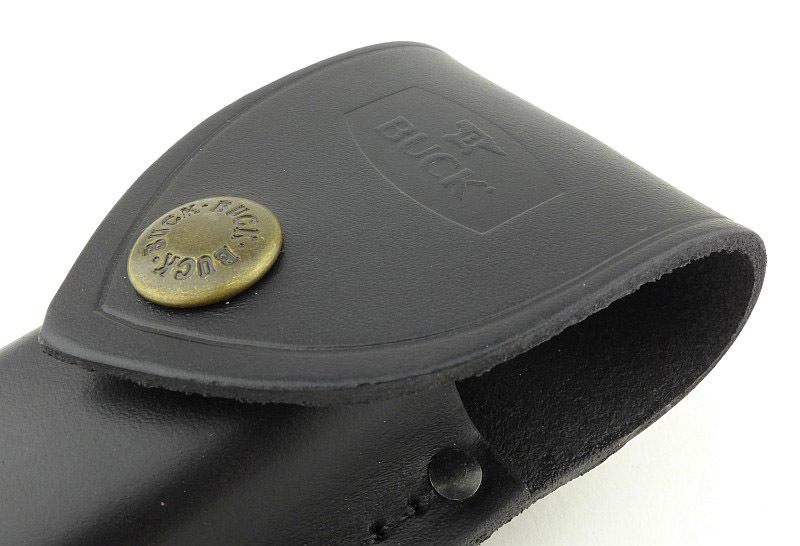 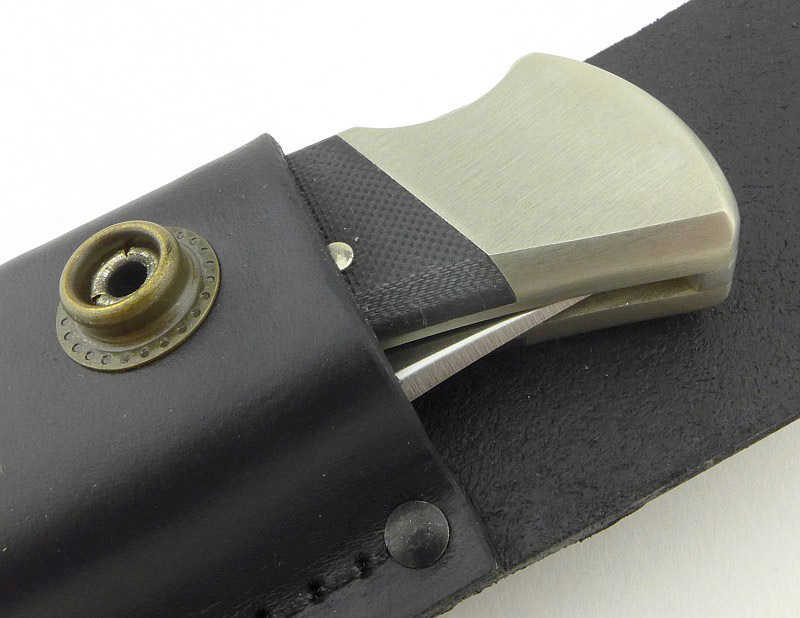 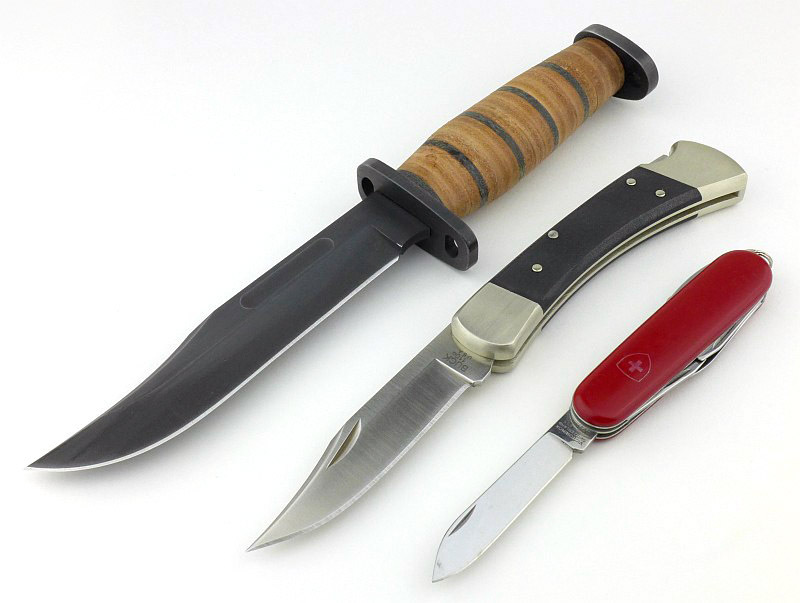 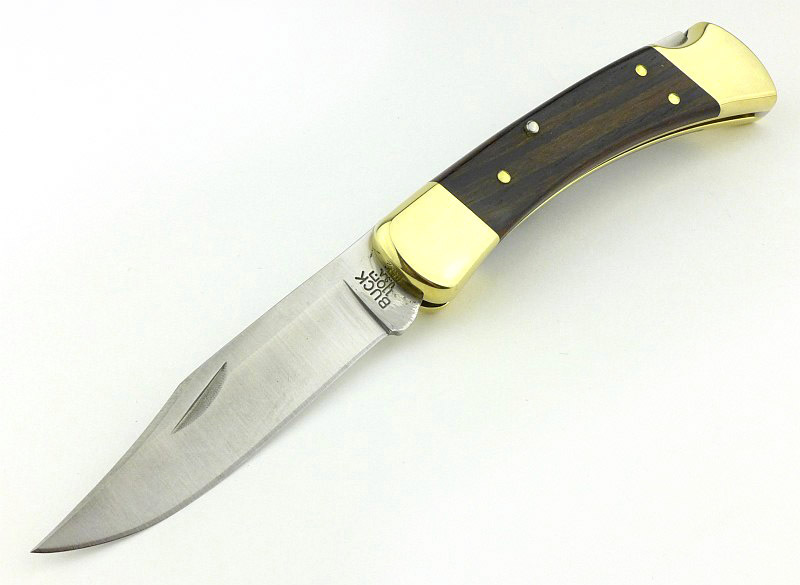 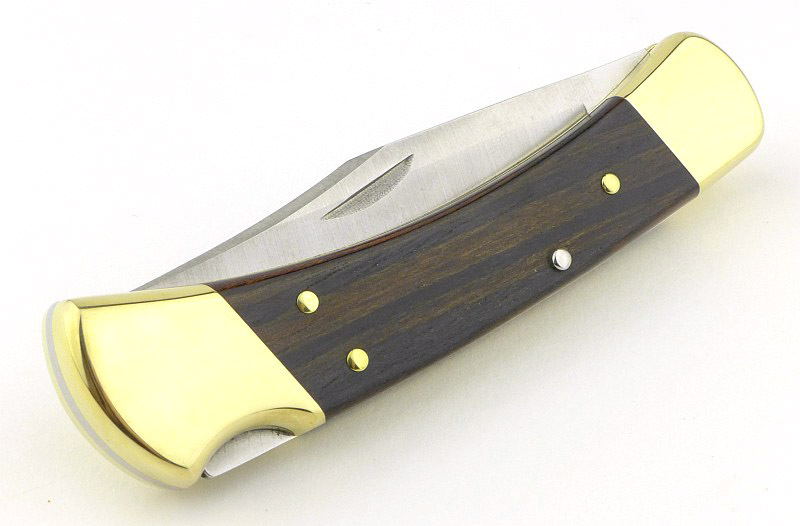 Buck’s 110 Folding Hunter has been a firm favourite since its release in 1963, and is probably the most copied folding knife design in existence. 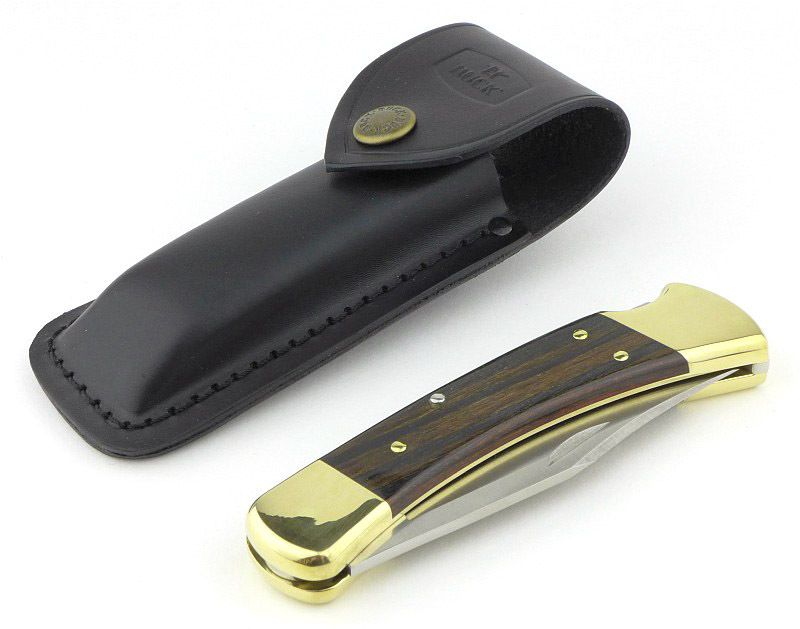 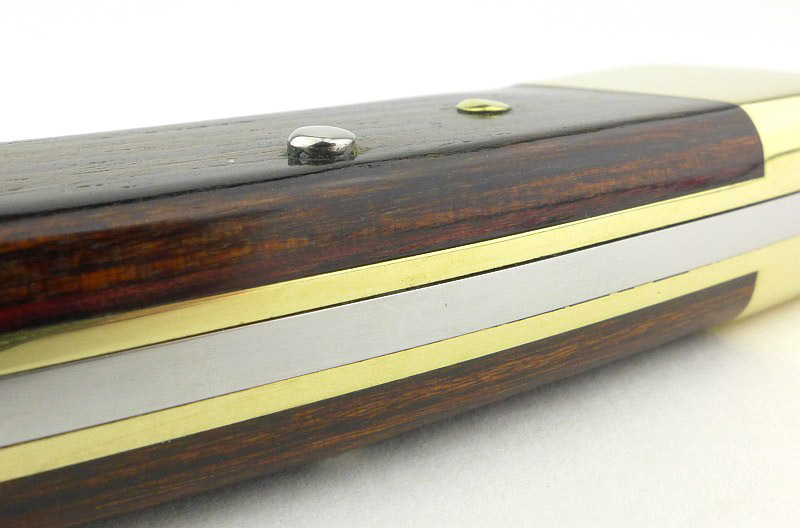 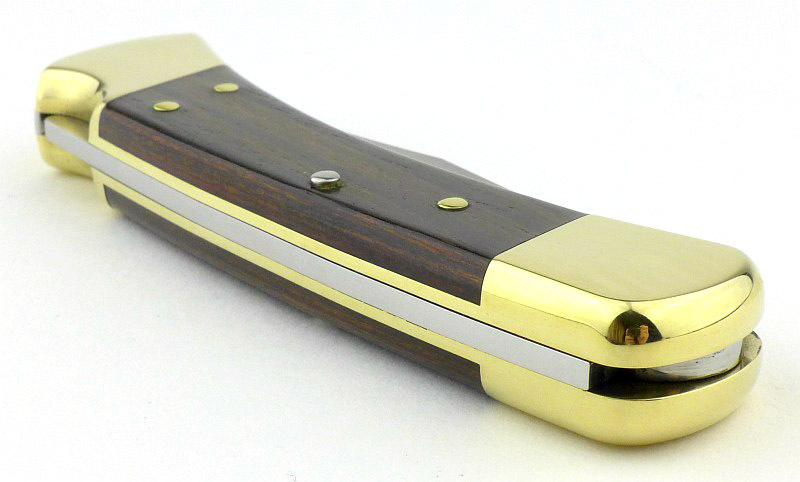 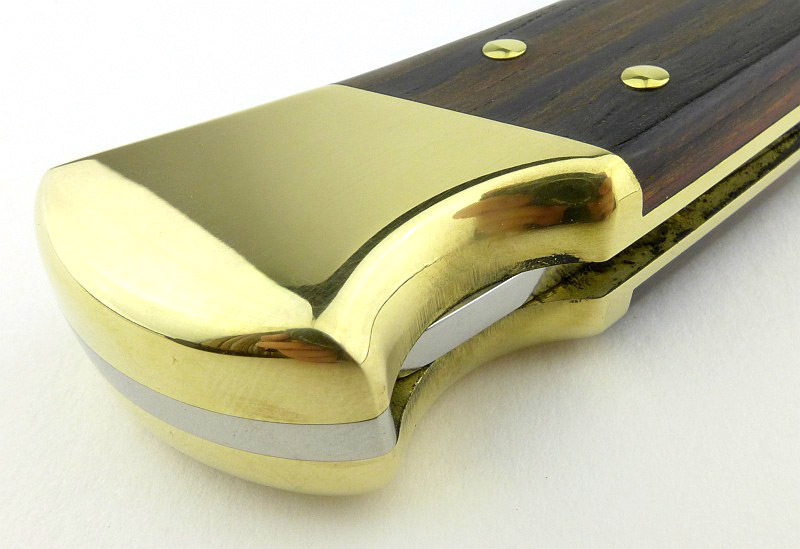 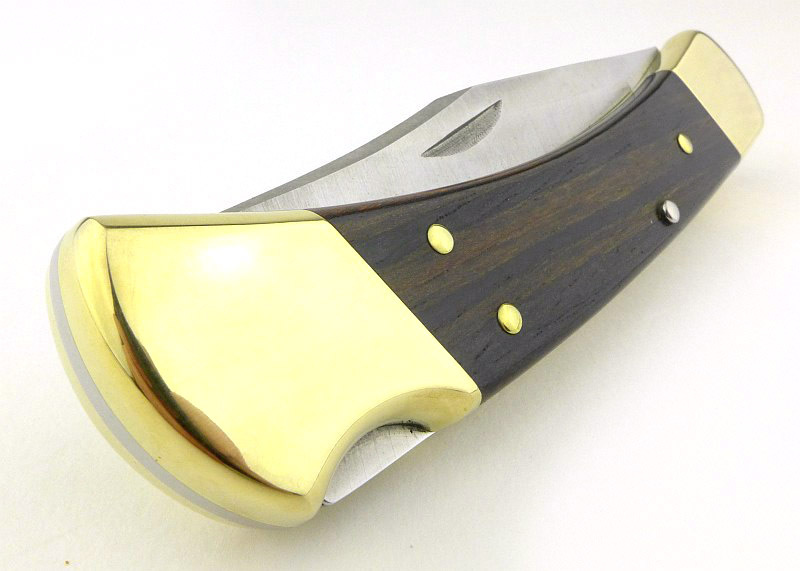 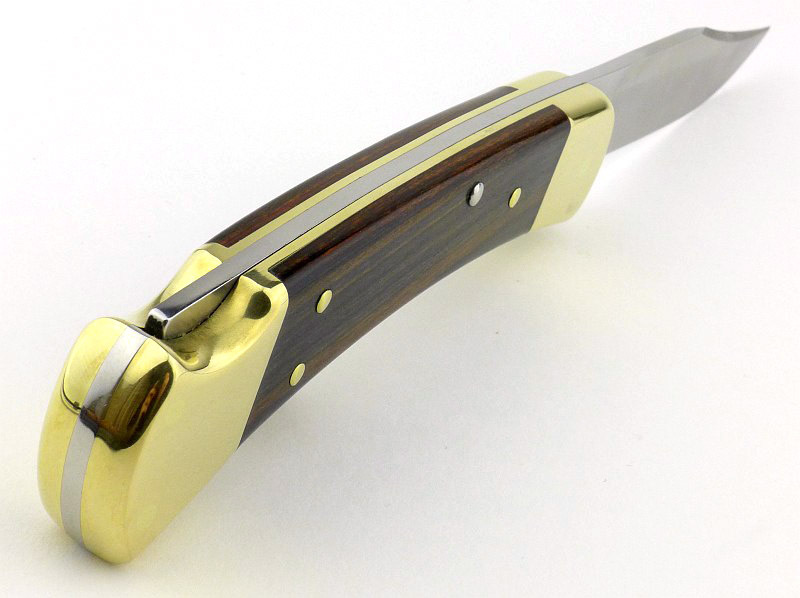 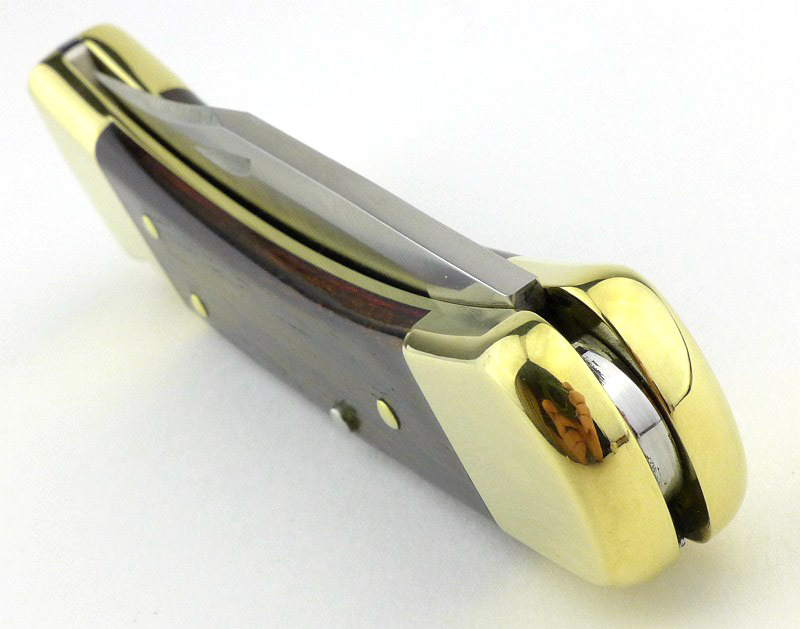 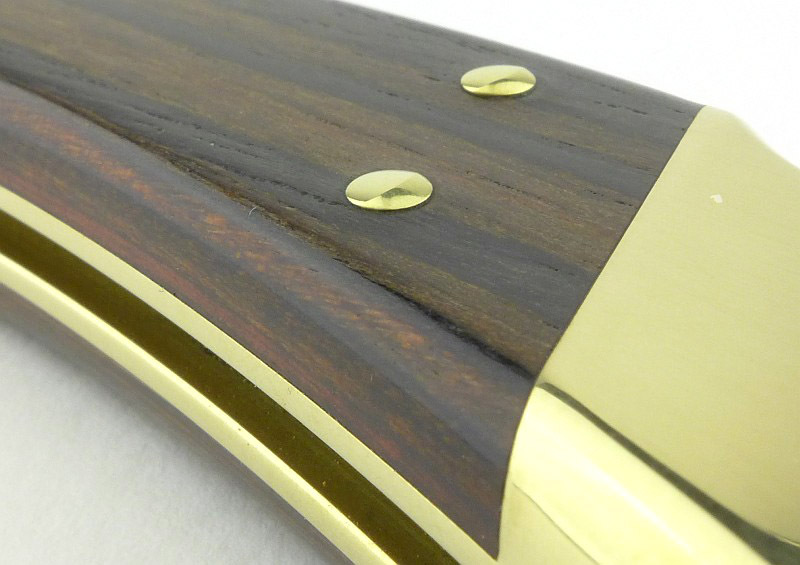 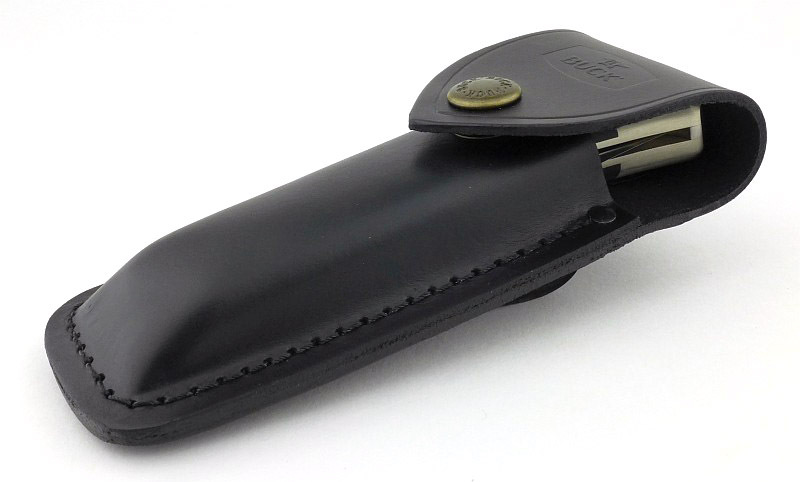 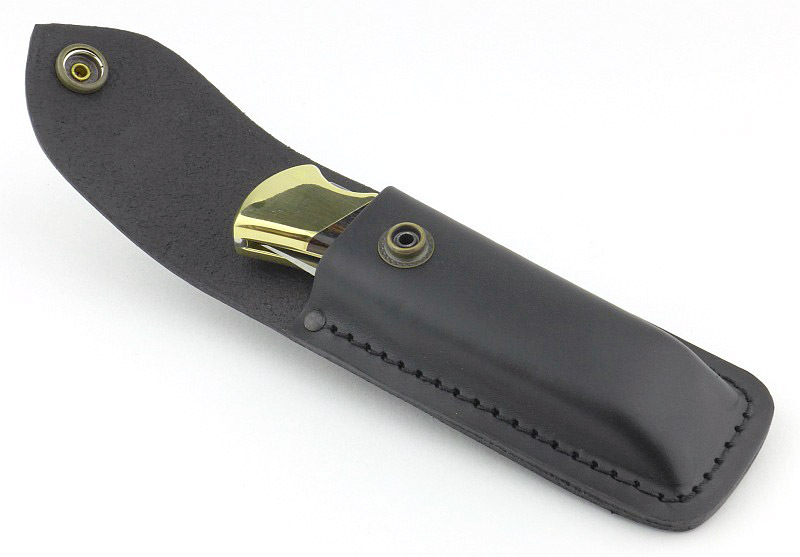 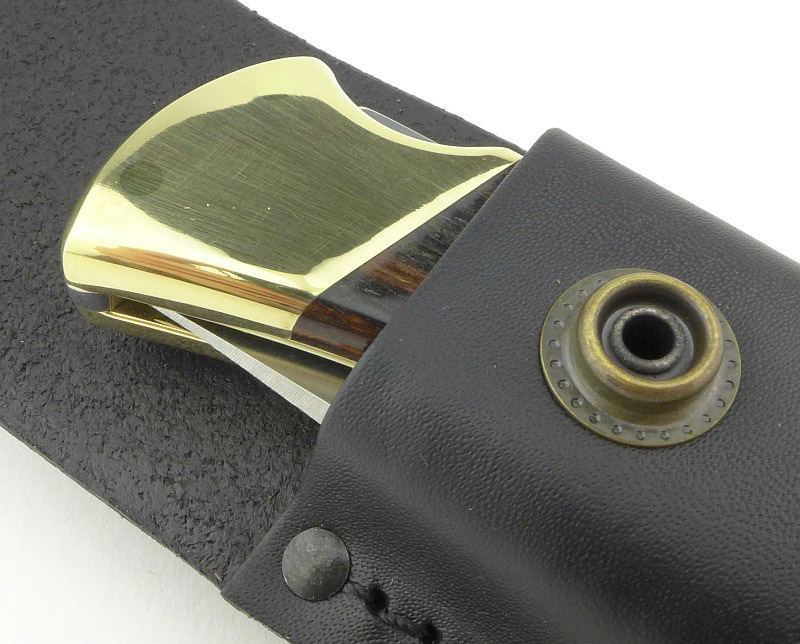 Its traditional mixture of brass and wood (Macassar Ebony Dymondwood), along with the elegant lines and simple lock-back mechanism, has made it a classic with enduring appeal. 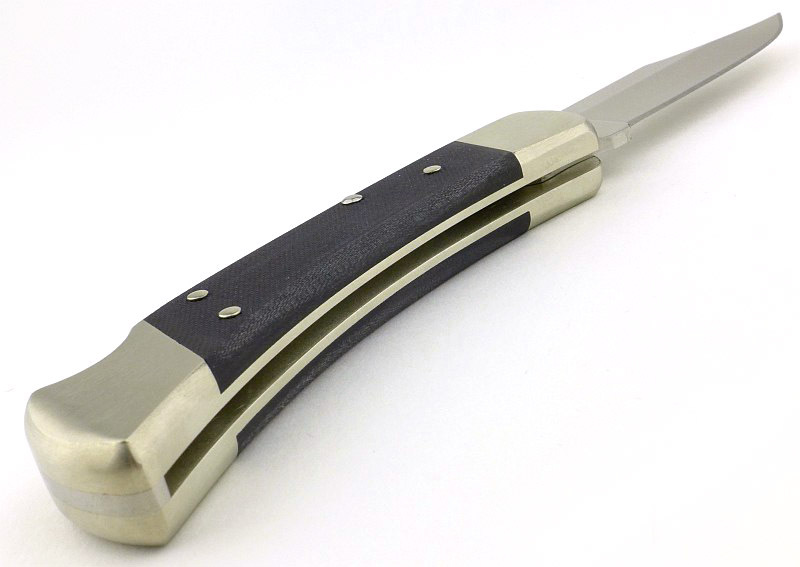 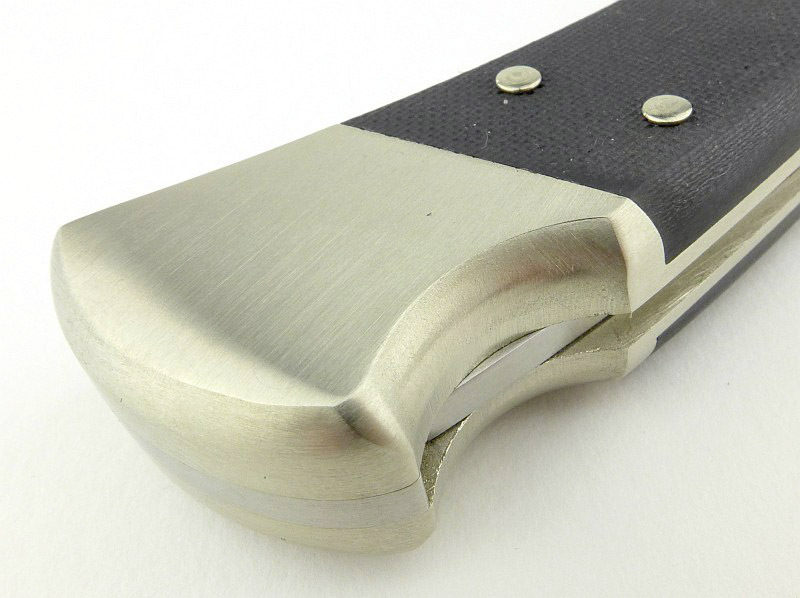 Now brought up to date in terms of materials with the 110 Folding Hunter Pro using S30V blade steel and Nickel Silver with G10 handle inserts, you can now keep the traditional style but not compromise on blade performance if you need the extra edge retention the S30V will give you. 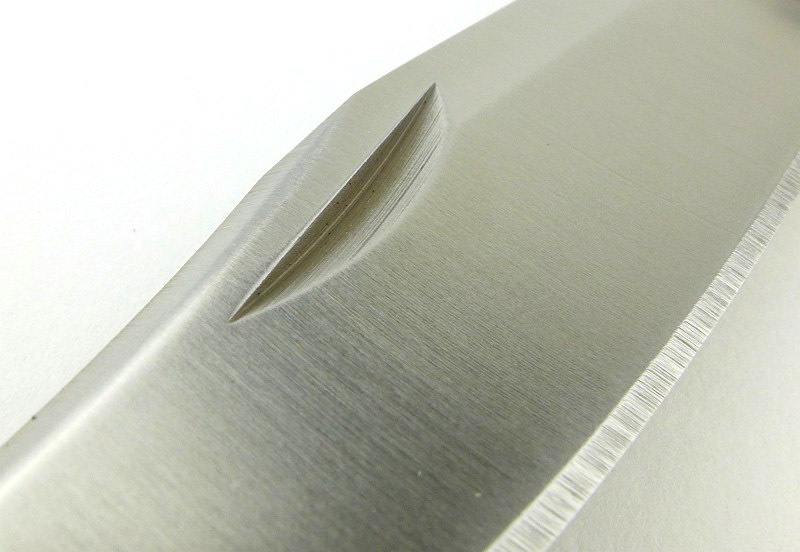 Before we get to the photos, also included in this showcase are the results of the factory edge sharpness testing. 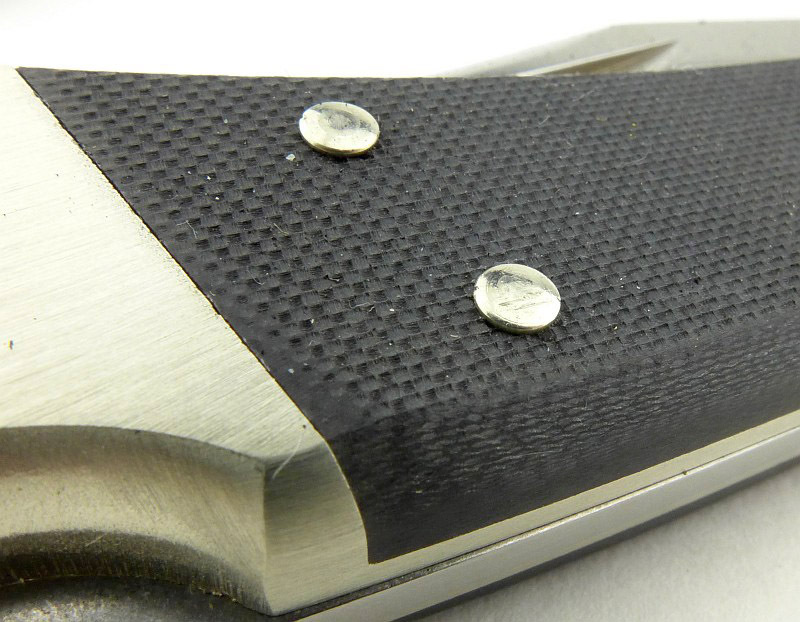 These are impressive results; see the gallery for the certificates. 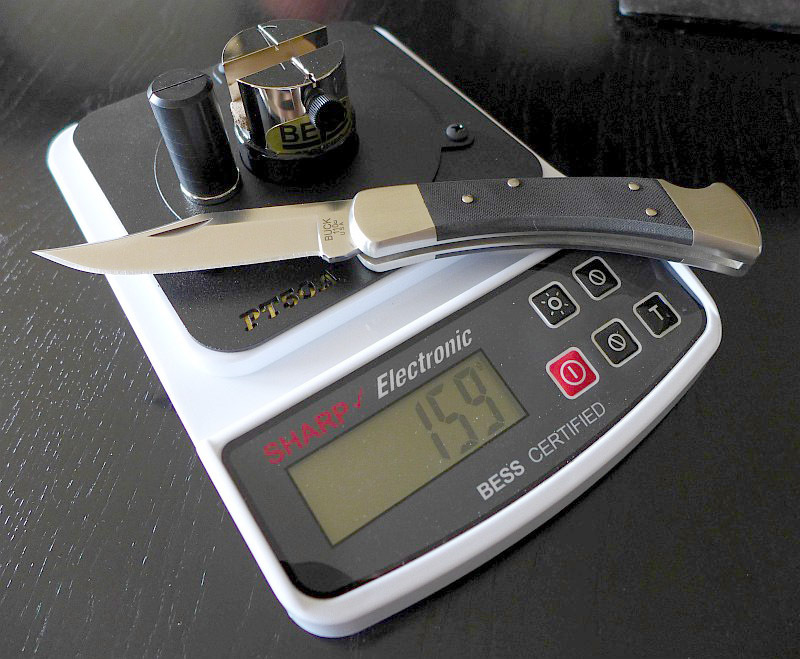 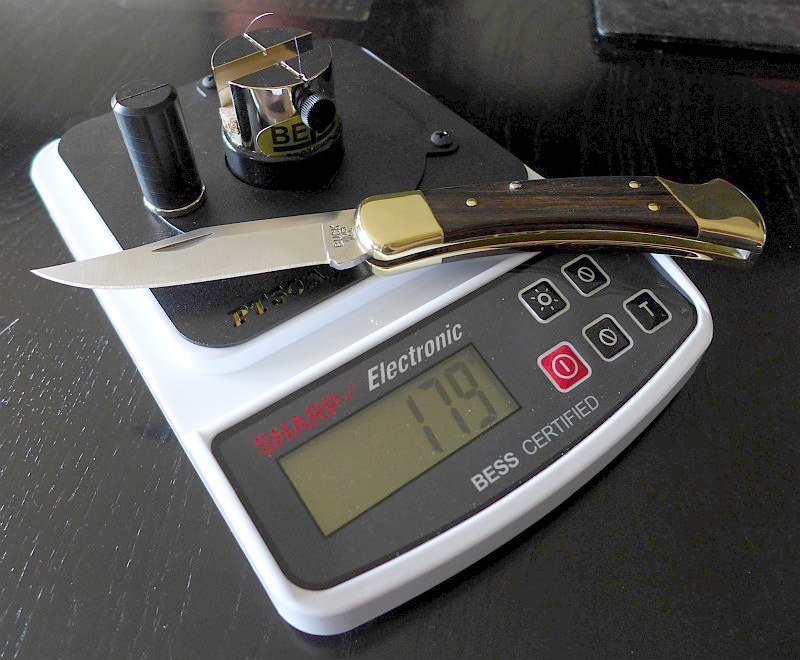 The BESS ‘C’ scale of sharpness, was developed by Mike Brubacher (Brubacher Edge Sharpness Scale). 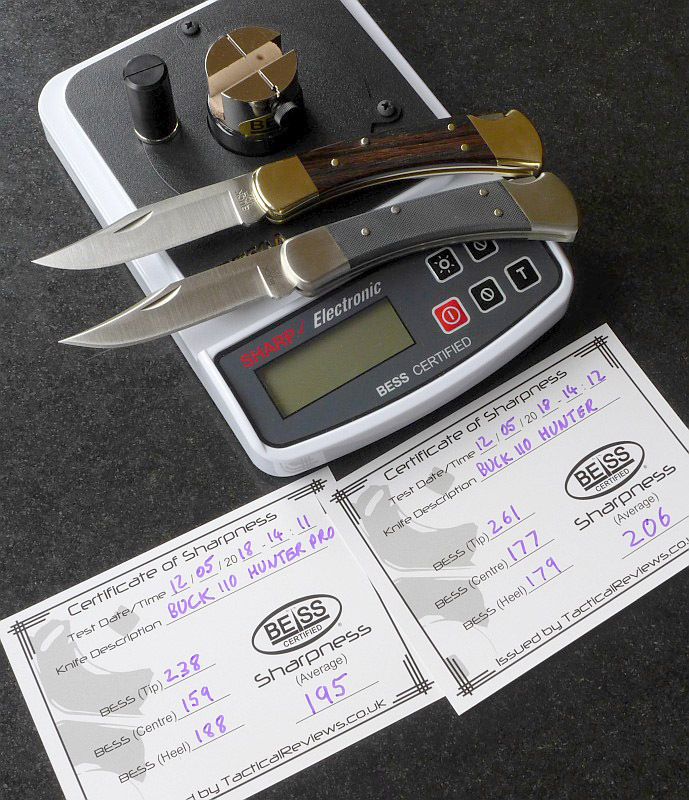 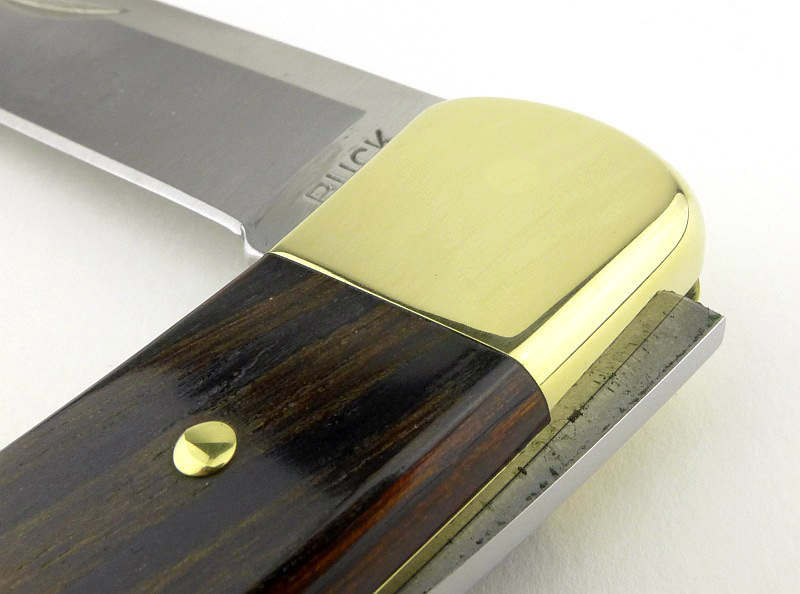 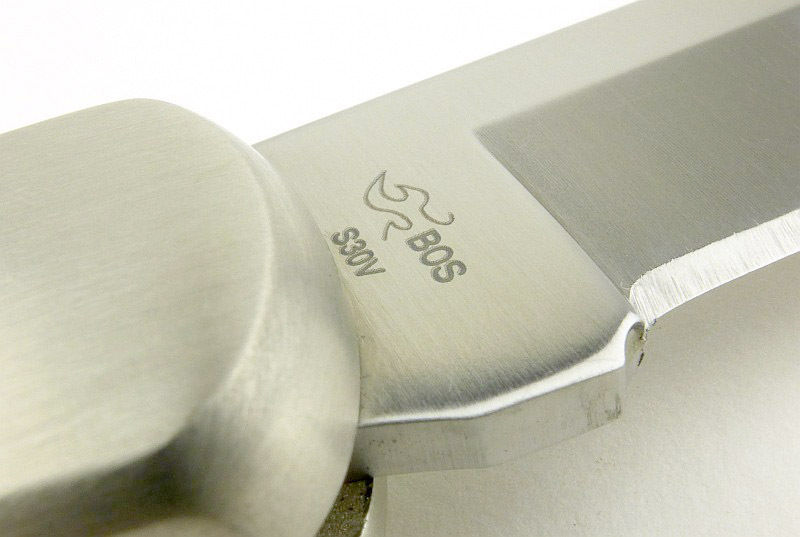 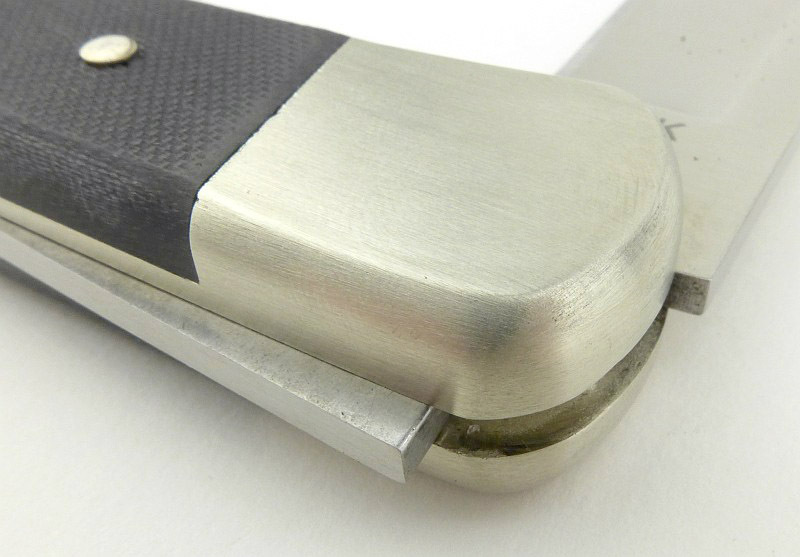 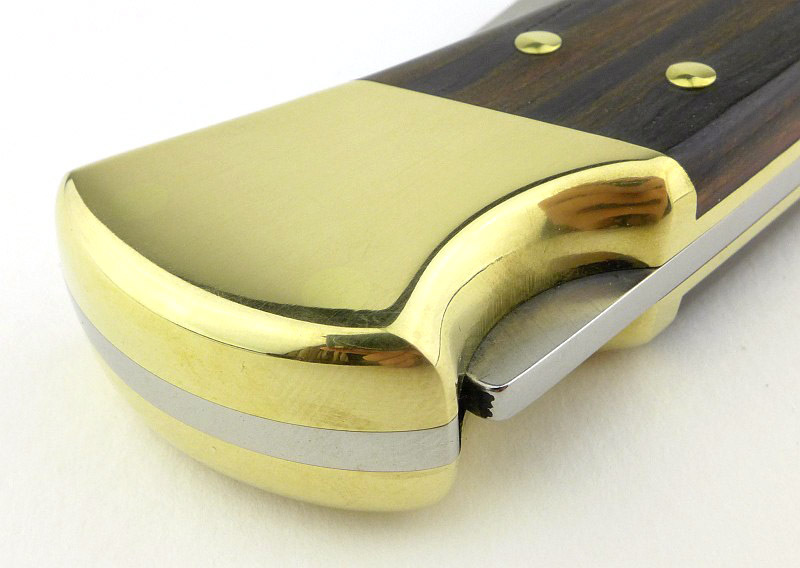 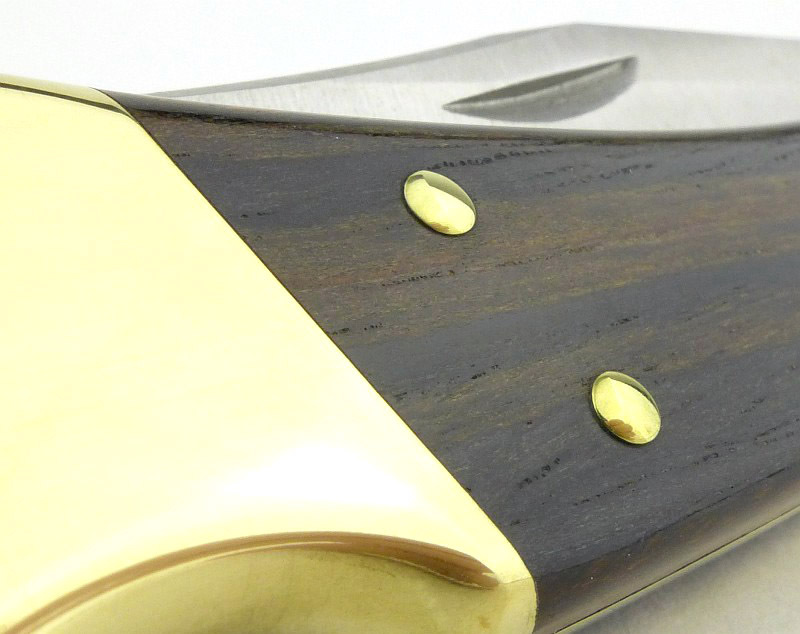 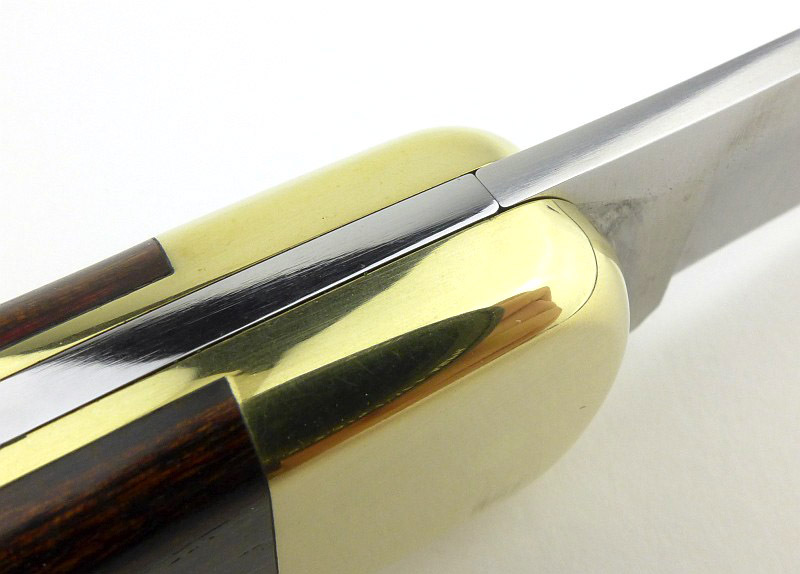 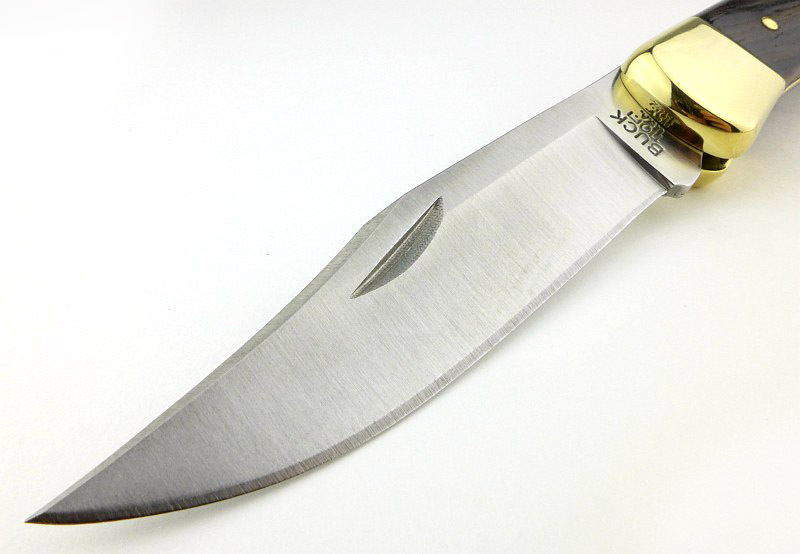 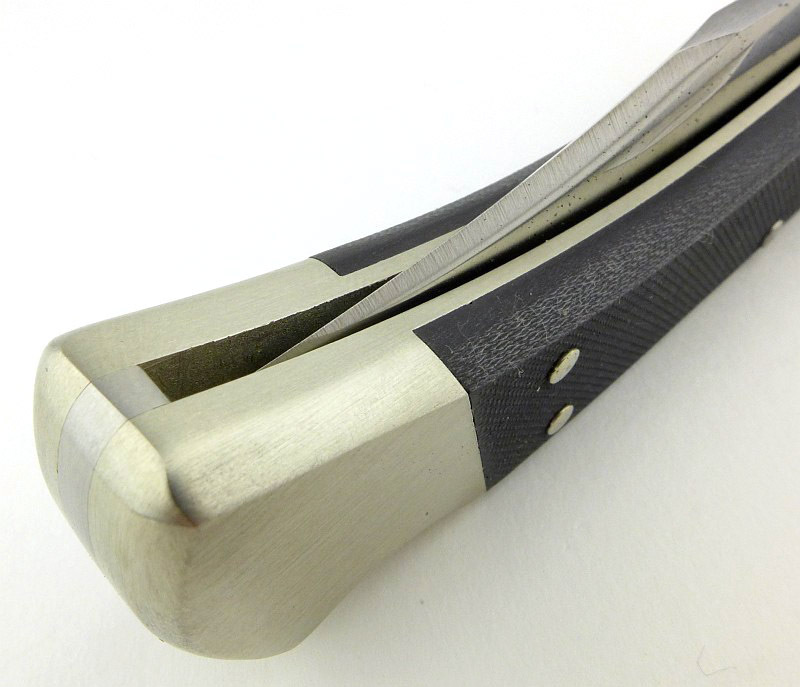 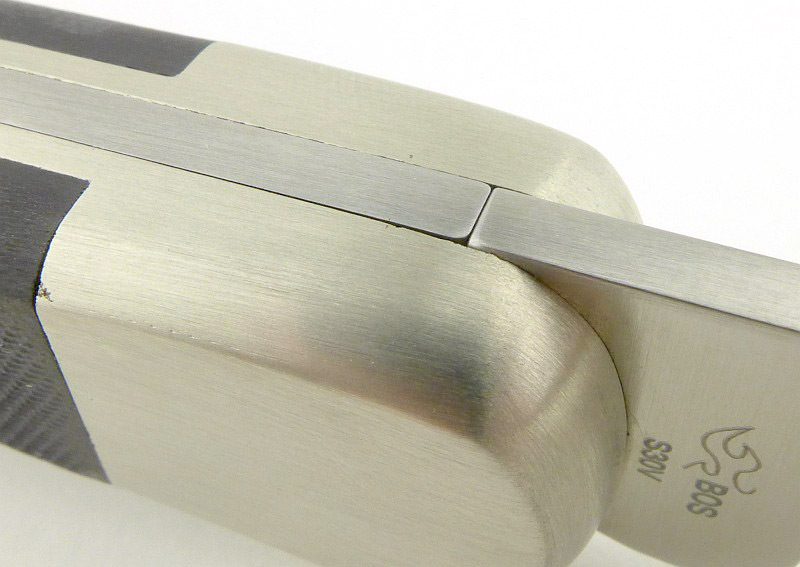 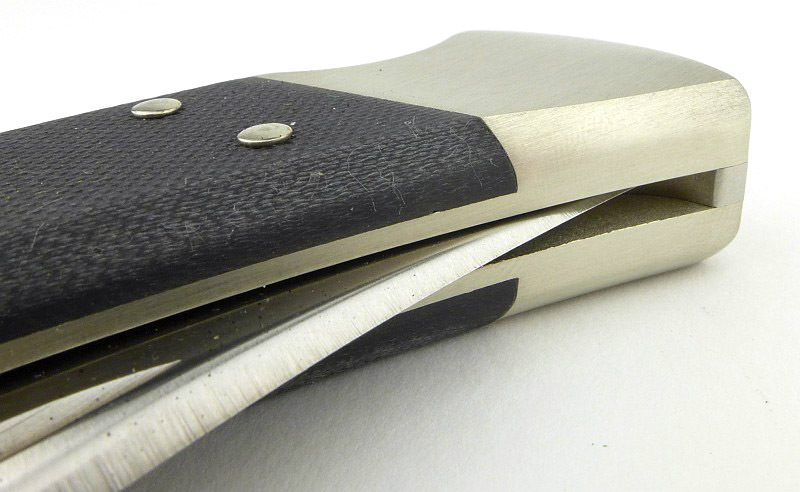 The 110 Folding Hunter’s factory edge has an average BESS ‘C’ sharpness of 206. 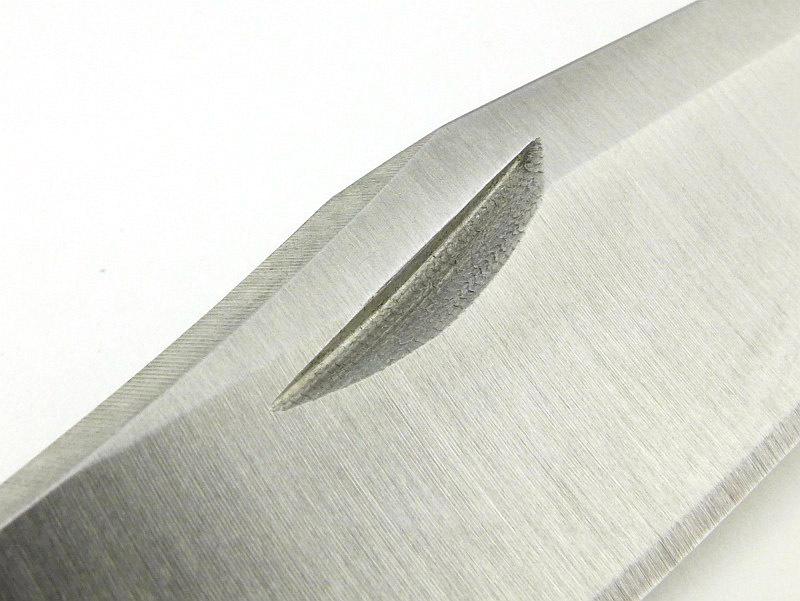 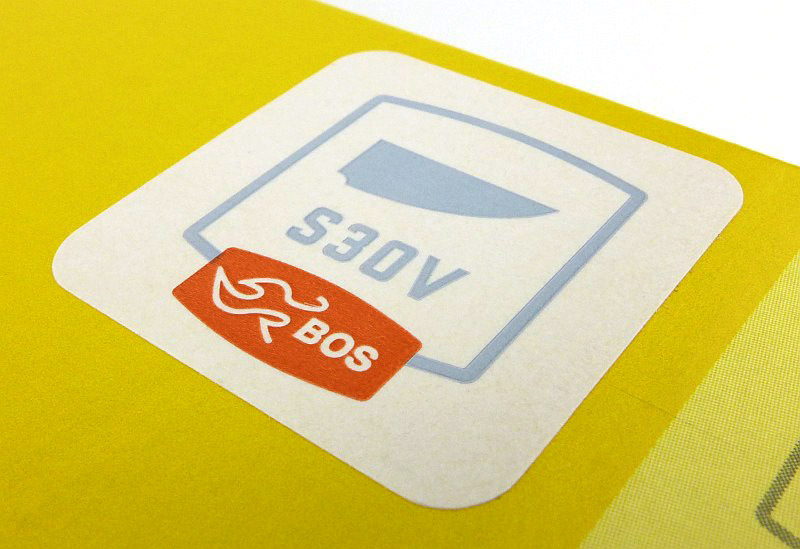 At this sharpness it easily and cleanly slices 80gsm copier paper, and will shave the hair from your arm. 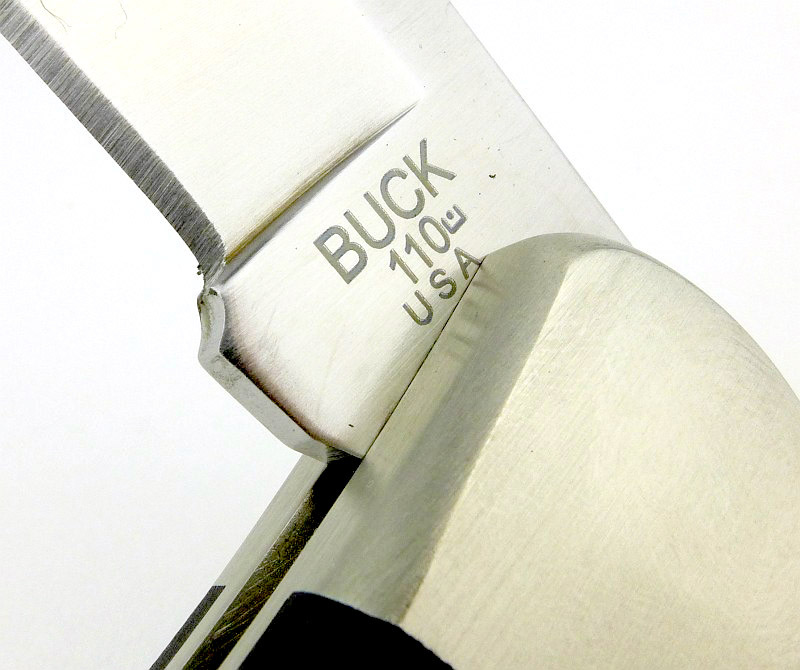 The 110 Folding Hunter Pro’s factory edge has an even more impressive average BESS ‘C’ sharpness of 195. 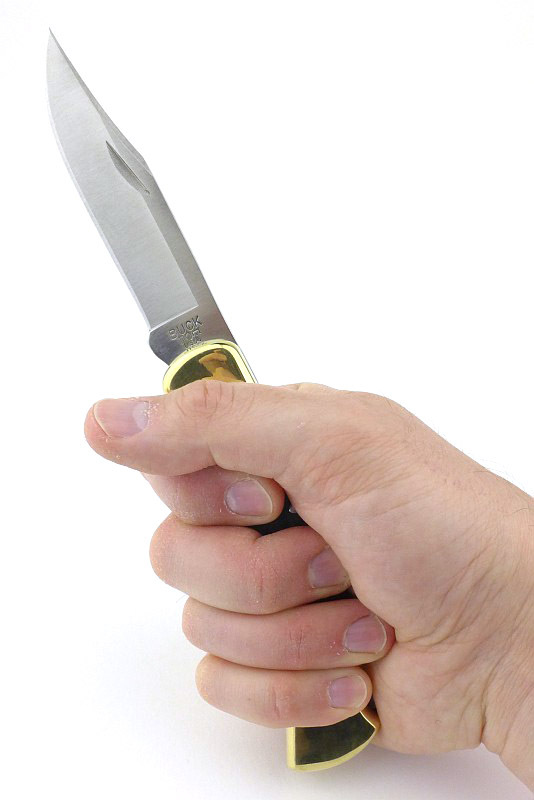 The ideal place to freely discuss these reviews is on a forum. 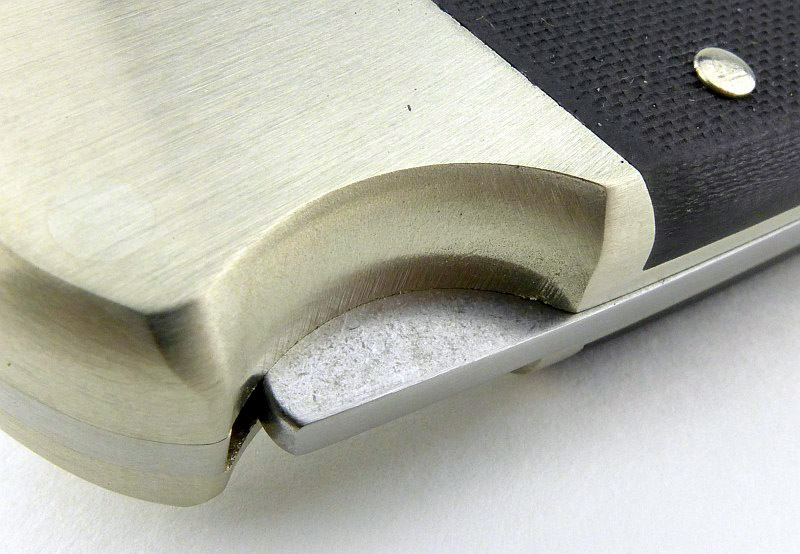 If you started reading the shorter forum version of the review, but followed the link this full exclusive review, please return to that forum to discuss the review there.